We designed a series of small-sized pieces of furniture that allow space to be used more effectively. 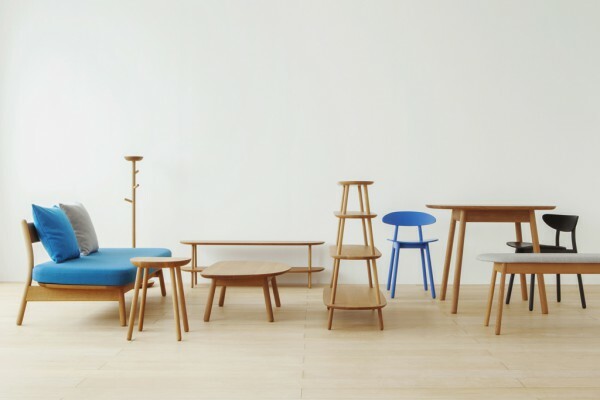 The "cobrina" collection is the result of a collaboration with Hida Sangyo, a well-established furniture manufacturer in Japan. ("cobrina" derives from the Japanese expression "koburi-na" used to describe things that are smallish or undersized.) 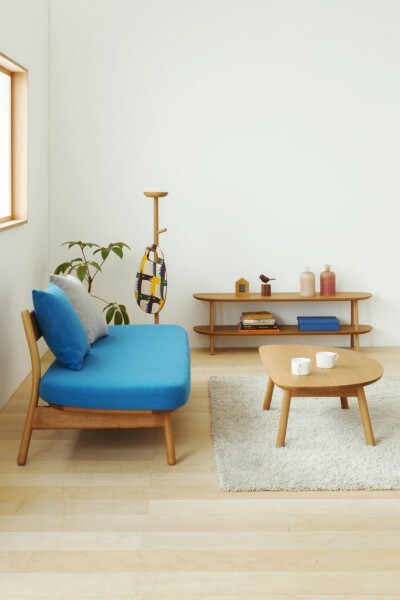 Characterized by rounded top surfaces and slender slanting legs, the small-sized pieces of furniture lend a mellow atmosphere to their surroundings. Upon first encounter, these might even appear as a flock of small animals. We sought to create light furniture that can be easily rearranged or repurposed. 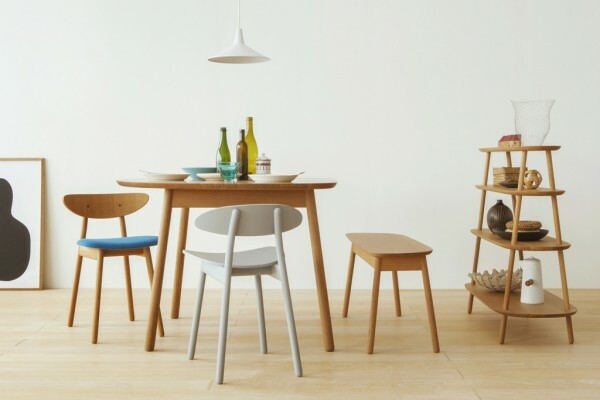 The slightly shorter height of cobrina chairs allow them to be neatly stowed under the table. Moreover, backrests create a lovely expression and come in two configurations: inverted and non-inverted. Seats come in two types as well: upholstered and non-upholstered. Various color variations from which to choose from are also available in black, blue or gray in addition to natural wood, depending on the intended place of use, such as at home or the office. 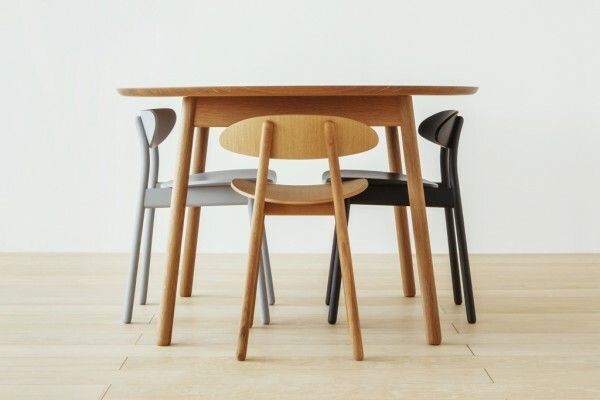 The cobrina table is obtained by scaling up the shape of cobrina chair seat plates. 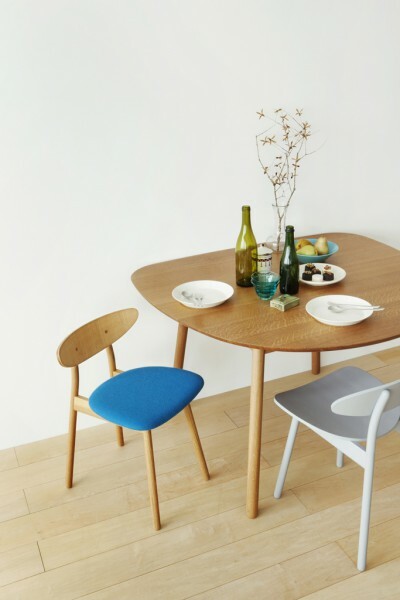 The semicircular shape of the tabletop allows the table to be set close against the wall and use space more efficiently while retaining the features of a round table. The table's inclination of the legs match that of the chairs, which makes the dinning set look like a parent with its offspring. Like a smaller version of the cobrina table, the cobrina stool can be placed next to a sofa to be used as a side table. The cobrina bench has an affinity to the semicircular shape of the cobrina table. 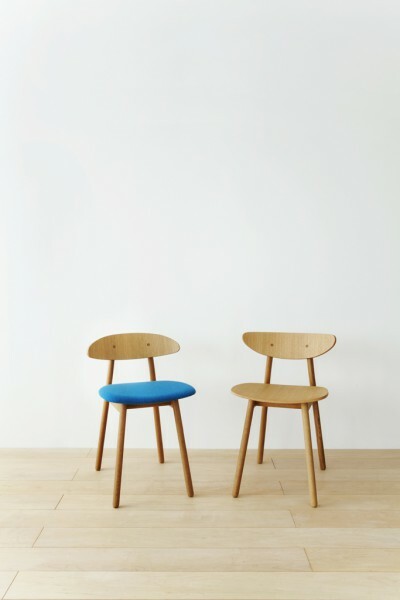 Moreover, the seats can be either upholstered or non-upholstered. 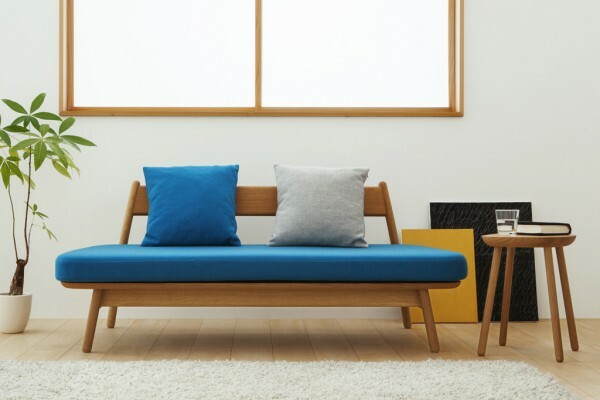 The cobrina sofa is a light-framed sofa with no armrests that can comfortably seat two. The back holds small cushions, the color, pattern and number of which can be arranged to fit one's taste. 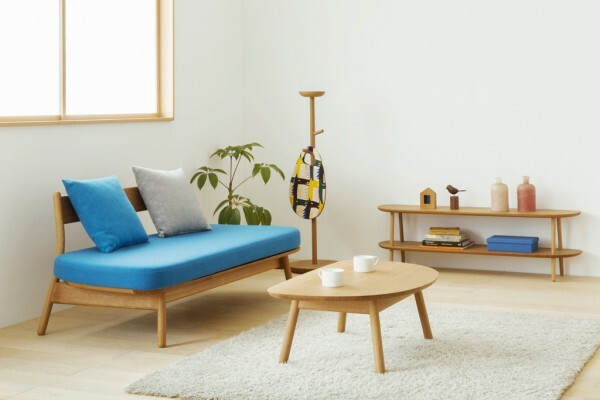 The cobrina livingtable is a low-legged table for use in a living or tatami room. 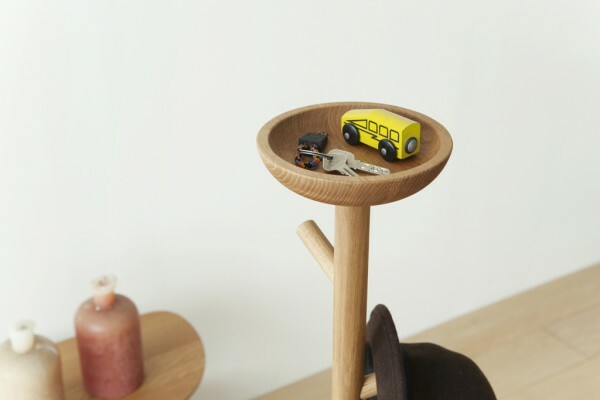 The gently curved tabletop can be used facing any given direction. The cobrina AVcabinet is very user-friendly and can be used against the wall or as an island. 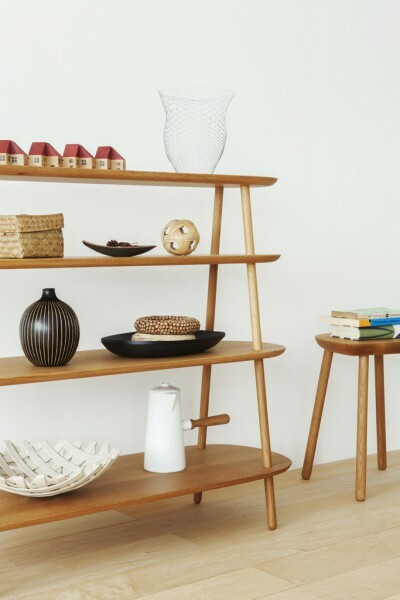 The slender legs supporting the shelves make the floor look wider while giving the impression of being lightweight. The cobrina islandcabinet stacks four shelves and can be placed between the living and dining rooms; thus allowing access from both sides. The compact form can stand against the wall without interrupting the space. 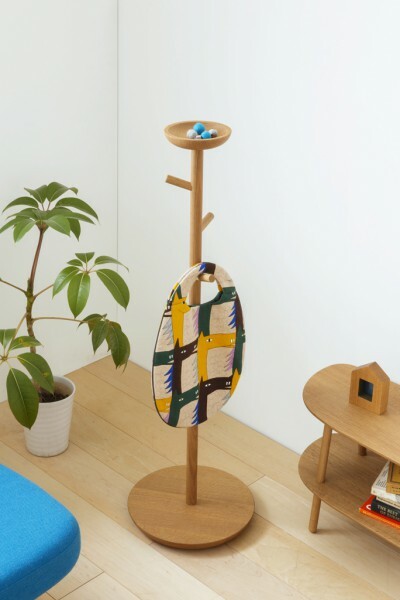 The cobrina hangerstand can hold clothes on hooks resembling the branches of a tree. Moreover, the top receptacle can be used to nest keys or the content of one's pockets.